Written by experienced professors and professionally narrated by a medical doctor for accuracy, this crash course is a valuable tool both during school and when preparing for the USMLE, or if you’re simply interested in the subject of nephrology. The audio is focused and high-yield, covering the most important topics you might expect to learn in a typical medical school nephrology course. Included are both capsule and detailed explanations of critical issues and topics you must know to master nephrology. Written by experts and authorities in the field and professionally narrated for easy listening, this crash course is a valuable tool both during school and when preparing for the USMLE, or if you're simply interested in the subject of gastroenterology. 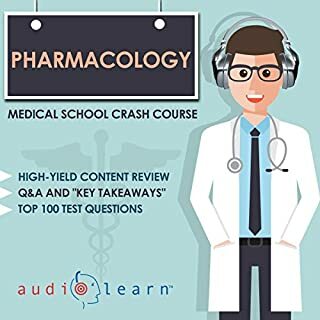 The audio is focused and high-yield, covering the most important topics you might expect to learn in a typical medical school gastroenterology course. Included are both capsule and detailed explanations of critical issues and topics you must know to master gastroenterology. Written by distinguished professors and professionally narrated by a medical doctor for accuracy, this crash course is a valuable tool both during school and when preparing for the USMLE, or if you're simply interested in the subject of OB-GYN. The audio is focused and high-yield, covering the most important topics you might expect to learn in a typical medical school OB-GYN course. AudioLearn's Medical School Crash Courses series presents Cardiology. 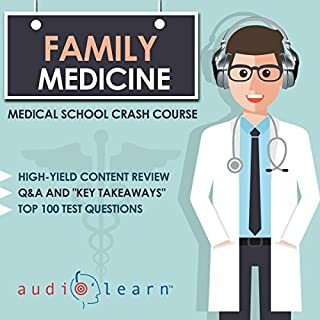 The audio is focused and high-yield, covering the most important topics you might expect to learn in a typical medical-school cardiology course. Included are both capsules and detailed explanations of critical issues and topics you must know to master cardiology. The material is accurate, up-to-date, and broken down into bite-sized sections. There is a Q&A and a “key takeaways” section following each topic to review questions commonly tested and drive home key points. Also included is a comprehensive test containing the top 100 most commonly tested questions in cardiology with the correct answers. 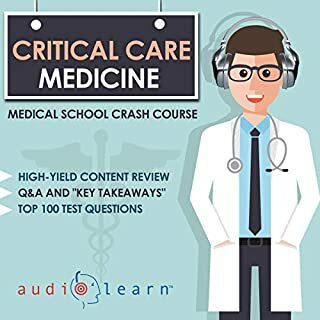 AudioLearn's Medical School Crash Courses series supports your studies, helps with USMLE preparation, and provides a comprehensive audio review of the topic matter for anyone interested in what medical students are taught in a typical medical-school cardiology course. EMT AudioLearn - Complete Audio Review for the National Registry of Emergency Medical Technicians (NREMT) Certification Exam! thoroughly covered information. Narrator was easy to listen to. I would recommend this to others. This is not meant to be a review for medical professionals, it is very basic material. I was looking for something suitable for board review, was disappointed.